The Little Local New Orleans Cookbook brings the essential flavors of New Orleans to your table. From festive cocktails and finger foods to big celebration fare, you’ll find recipes for Sazerac and Hurricane cocktails, Creole gumbo, jambalaya, blackened redfish, king cake, sweet pralines, and other traditional dishes. 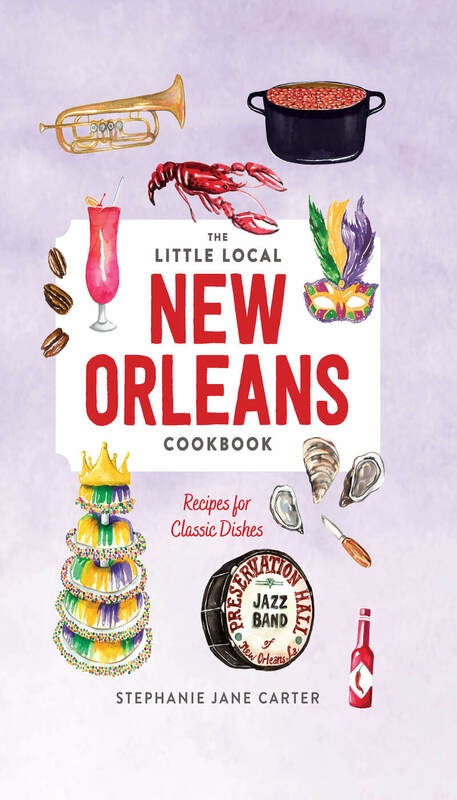 Written by a regional food expert and beautifully illustrated, this little cookbook is the perfect keepsake for the Big Easy. Stephanie Carter is an award-winning writer and an editor at Vox Media’s Eater NOLA, the former publisher and editor at Edible New Orleans. She has an MA in philosophy from Tulane University and an AOS from the Culinary Institute of America.